Have you ever had an experience that exceeded your wildest dreams? Despite frequent disappointment, I still hold high expectations for people, products, events, holidays, vacations – experiences in general. And, last week I was not disappointed. 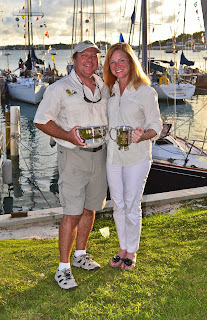 I flew to Bermuda to see my husband John, co-captain Jim, and their crew finish the Bermuda Ocean Race. Bermuda created a storybook backdrop with bright sunshine; vivid blue skies; warm temperatures; and clear, dry air. The locals greeted me with smiles and eye contact. Every meal delighted my palate. The clear blue-green ocean and pink sandy beaches offered a feeling of heaven on earth. 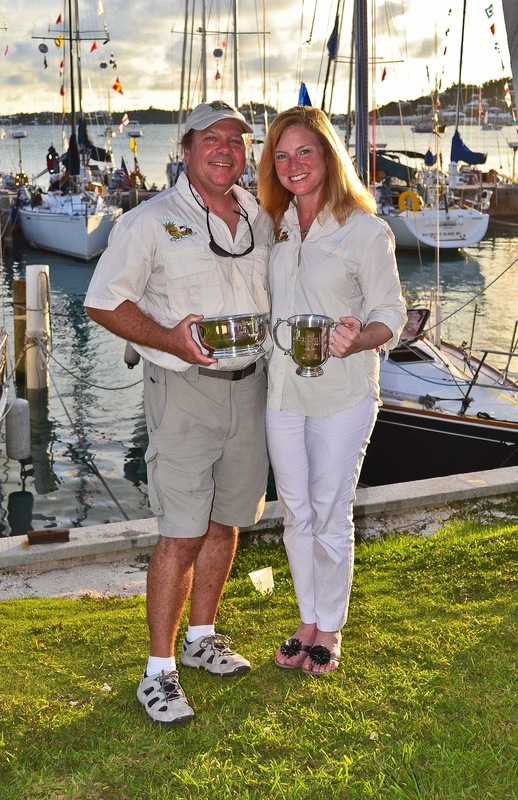 And, John and his crew won not one, but two first place trophies in the Bermuda Ocean Race. Even better, they won not on a fancy racing sailboat, but on a sailboat that is a second home, washer/dryer included. Anyone might have a similar boat. I confess. I really wanted Island Chariot and her crew to win the race. Awaiting their arrival at the finish line, I found myself glued to the online race tracker. On Days Four and Five of the race, winds were light. Many of the boats appeared to be bobbing like corks. Island Chariot made only two nautical miles forward progress in eight hours. Mother Nature…the race component not influenced by preparation, skill or money. Sailing Vessel Kristina was closing the gap. Four boats in faster classes dropped out of the race and started their engines. It’s moments like these when true character is revealed. The mental toughness required of all the crews could not be underestimated. My heart sank at the possibility of Island Chariot not completing the race. It was time to trade up my thoughts to make peace with whatever result manifested. I needed to be strong, positive and authentic when I greeted John and the crew. All the while I held out hope for the winds to pick up – just the right amount from the right direction, of course. Applying all of my willpower, I put the computer and then myself to sleep. Early the next morning, I awakened with eager anticipation. Being a hopeful romantic and holding out for the fairy tale ending, I opened the race tracker on the computer. Overnight, the winds strengthened to 15-20 knots from the West. Island Chariot was sailing at speeds over eight knots. She had pulled away from S/V Kristina. Yes! Island Chariot completed the race by sailing two 170-nautical-mile days and crossing the finish line first in her class. At the awards ceremony, we learned that she was also first after finish times were corrected for handicaps. For anyone following Island Chariot in the race, it was a “Wow” Experience felt to the core. When was the last time you experienced a “Wow”? What can you do today in your life and your business to create a “Wow” Experience for yourself, your family, or your clients? If you want some ideas, contact me through my website at http://www.AmericasMindsetMechanic.com.